If you've read my comments on previous HMB studies you will know that I am skeptical if the promising results that have been observed in studies using 2-3 grams of calcium bound or free acid HMB would persist if the subjects did what most of you will do: Consume 20-30g of whey protein after every workout. I guess Kraemer et al. (2015) may have had similar doubts, when they designed their latest study. A study in which they compare recovery from highly demanding resistance exercise with whey protein (WP group) alone or a supplement containing whey, HMB, and a slow-release carbohydrate (isomaltulose | RP group). Now, I have to admit that due to the lack of a "HMB + whey only" group it is difficult to tell how much of any potential benefits the subjects in the WHI group may have experienced can be ascribed to HMB. As we are going to see in the discussion of the results, a comparison to previously observed effects of HMB do yet suggest that the addition of HMB may have had an effect,... but hey, I am anticipating here. Let's first take a closer look at what exactly the researchers from the Ohio State University did. 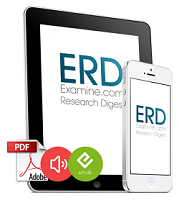 "Thirteen resistance-trained men (age: 22.6 +/- 3.9 years; height: 175.3 +/- 12.2 cm; weight: 86.2 +/- 9.8 kg [at least one year of RT experience]) completed a double-blinded, counterbalanced, within-group study. 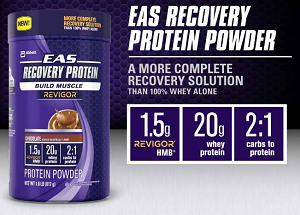 Subjects ingested EAS Recovery Protein (RP; EAS Sports Nutrition/Abbott Laboratories, Columbus, OH) or WP twice daily for 2 weeks prior to, during, and for 2 days following 3 consecutive days of intense resistance exercise" (Kraemer. 2015). The workout sequence included heavy resistance exercise (day 1) and metabolic resistance exercise (days 2 and 3 | see Table 1 for details) and was specifically designed to provide "excessive demands" on the recovery process. Table 1: Three-Day Workout Sequence. Workouts were performed on consecutive days at the same time of day. Rest period represents time in minutes between each set (Kramer. 2015). The subjects performed no physical activity during day 4 (C24 hours) and day 5 (C48 hours), where recovery testing was performed. 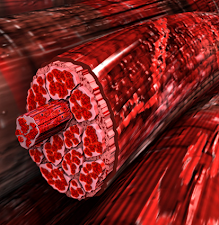 Before, during, and following the 3 workouts, treatment outcomes were evaluated using blood-based muscle damage markers and hormones, perceptual measures of muscle soreness, and countermovement jump performance. Figure 1: Creatine kinase levels (left | RP < WP ), pain scores (right, top | RP << WP) and countermovement jump performance (right, bottom | RP >> WP) at baseline, 24h and 48h after (Kraemer. 2015). Now, while none of the markers the scientists evaluated is indicative of the real-world long-term effects the supplementation regimen may have on what really matters, i.e. strength and size gains, the improvements in creatine kinase (CK), a purported marker of muscle damage, IL-6 (not shown in Figure 1), a marker of the inflammatory response to exercise, DOMS, a potential reason you may not be able to get back to the grind and countermovement jump performance, a proxy (albeit not a good one) for potential performance declines, appear to suggest a statistically significant advantage for the whey + HMB + isomaltose mix. In a previous comparison of leucine and HMB I have already hinted at the unique anti-catabolic affects of HMB. Effect that don't depend on the form of HMB you take, as a recent study suggests | more. So how much of the effect is due to HMB? It is obviously impossible to answer this question conclusively, but a 2010 study by Cooke et al. indicates that the creatine kinase buffering effects of whey protein are significantly more pronounced than those of an isocaloric amount of carbohydrates. This does not mean that the isomaltose content of the RP supplement didn't contribute to the reduction in creatine kinase, but it does at least suggest that there is room for additional benefits from HMB, of which you will remember from one of my more recent articles on HMB that its benefits may partly be ascribed to its ability to buffer the muscle damaging effects of highly intense exercise. Still, the study at hand allows for only one conclusion which is "that during times of intense conditioning, the recovery benefits of WP [whey protein] are enhanced with the addition of HMB and a slow-release carbohydrate [isomaltose]" (Kraemer. 2015). This does also mean that Kraemer's study does not provide the missing evidence that consuming 1.5g of HMB (calcium bound) alone on top of 20g protein would be superior to 20g of whey alone on a protein sufficient (subjects consumed 0.8-1.2g/kg), let alone a high protein diet; and that's not just because it was (EAS-)sponsored research and thus as some people may apparently assume "biased", but rather because the study design doesn't allow for a conclusion like that, because (a) the main outcomes don't tell us anything about potential strength gains on relevant exercises like squats or bench presses and/or long(er)-term muscle gains, and because (b) the use of a supplement containing both carbohydrates and HMB on top of whey protein makes it impossible to disentangle the effects of the individual agents | Comment on Facebook! Kraemer, William J., et al. "The Addition of Beta-hydroxy-beta-methylbutyrate and Isomaltulose to Whey Protein Improves Recovery from Highly Demanding Resistance Exercise." Journal of the American College of Nutrition ahead-of-print (2015): 1-9.